To promote, in every possible way, the conservation of the flora and fauna of the Isle of Wight, and the proper preservation of all objects of special archaeological and geological interest. 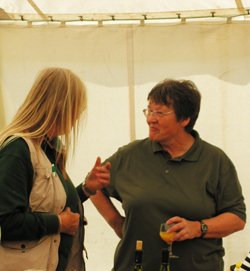 We do this by holding regular and wide-ranging indoor and outdoor meetings where members can learn about nature, geology and archaeology, together with occasional public meetings to promote the objects of the Society. We also carry out specialist recording, produce publications and hold an extensive Island database of species records, all of which is used to promote and to better understand the natural history of the Island and to inform decision makers. The Society Rules may be viewed here. We hope to make all relevant Society documents open to view as they become available. This is where the administration of the Society takes place. 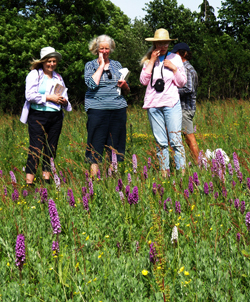 It is also where the Society’s extensive library and Isle of Wight species biological database are held. Our residence there is a pro-tem measure whilst we seek a more permanent home. Meetings, including Council meetings, are held elsewhere and larger indoor meetings are held in various venues, although Arreton village hall is frequently used. Everyone is very welcome to join, whether you have a general interest in the Island and its natural history or a more specialised interest in a particular aspect of its wildlife, geology or archaeology.